Dress like the Socialites & Gangsters at The Cotton Club, Harlem, New York in the 1920’s & 1930’s Jazz Age. We have Prohibition Era & Harlem Renaissance Attire that will put you at the center of the fashions & intrigue of the Cotton Club Experience. 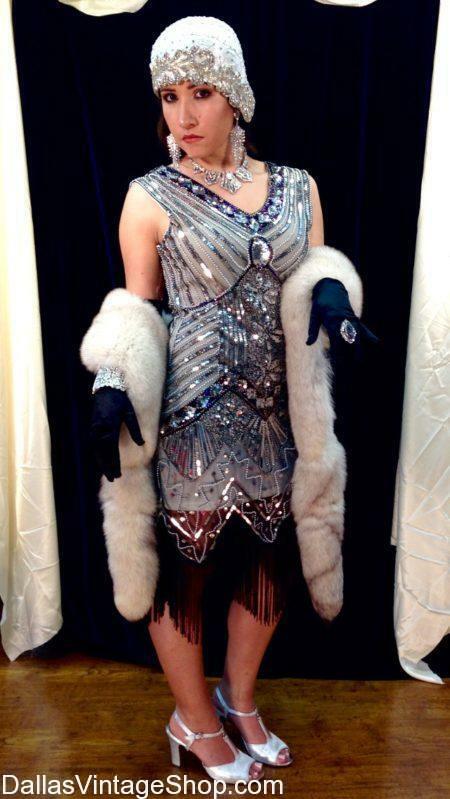 This Stunning 1920’s Outfit is just one of thousands of Cotton Club Costumes we have in stock. You will find quality and variety when it comes to accessorizing your beautiful sequin, beaded gowns. What do you need? 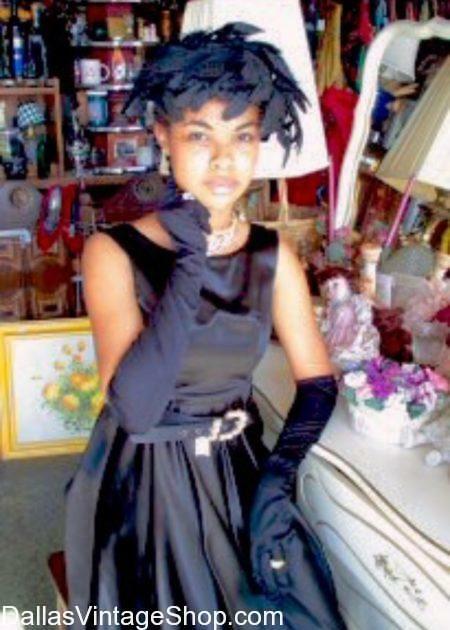 Jewels, Hats, Furs, Boas, Shoes? We have it all. Get Complete Outfits or just the Period Attire or Accessories you need. From economy pieces to complete decadence, we’ll help you make the statement you want to make. We can outfit Themed Gala’s or Parties of thousands. We have more Cotton Club Movie Character Outfits, Cotton Club Theme Party Costumes & Cotton Club Prohibition Era Theatrical Attire than anyone. We can wardrobe a cast of hundreds or a Gala Theme Party of thousands. This Mamie Smith, 1920s American Blues Artist Costume is just one Cotton Club Theme Costume Idea. We have Outfits for Historical African-American Figures, Black Women of History, Prohibition Era Activists, 20’s & 30’s Gangsters & Flappers and more. Get celebrity status quality or economy-but-quality period costume pieces or accessories like Flapper head bands and economy boas. However, we also have gorgeous, hand beaded 20s fashion gowns. We have it all. For him, get just the suspenders, period ties, vests, Apple or driver caps or economy fedoras & spats. Instead you may want to dress ‘To the Nines’ in men’s high fashion suits, real fedoras, multi-colored spat shoes, showy ties with a matching square. Add a pocket watch, man-sized fur coat & canes and make yourself look like and million bucks. You will find Cotton Club Theme Party Costumes, Prohibition Era Bootleggers, Cotton Club Jazz Age Musicians, Harlem Renaissance Tap Dancers, Period Attire and enough Costumes and period fashions to supply the entire Cotton Club full of the latest & greatest Famous Black Musicians & Artists, Gangsters & Bootleggers, Wealthy Socialites, Corrupt Politicians and Floozy Flappers. Get Cotton Club economy costume ideas or just the pieces you need like Cabbie & Apple caps, vests & suspenders, spats and other tight budgeted costume ideas. Or, you can Get Celebrity Status Outfits from head to toe, Lavish Suits, Spat Shoes, Art Deco Ties, Cains, Fashionable Hats, Pocket Watches and more. From Fabulous Furs & Boas to Cigarette Holders & Period Flasks & Cigarette Lighters, we have what you need for any Cotton Club Costume imaginable. Cotton Club Chorus Girl, Lena Horne, was a Cotton Club chorus Girl at age 16 in 1930s. The Cotton Club was the showcase for The Latest and the Greatest Black Entertainers of the Jazz Age & Prohibition Era. Located in Harlem, in New York City, The Cotton Club was the epicenter of the Harlem Renaissance. The Legendary Night Club was Patronized by wealthy Socialites and underworld Gangsters. The Cotton Club was certain to be a fashion show of the most Elegant or Risque Styles of the 1920’s & 1930’s. You will find that we have all the Period Attire & Costumes you need for Theatrical or Film Productions and for Theme Parties & Gala Charity Balls. Get Complete Cotton Club Outfits or just the pieces or accessories you need. The Cotton Club’s Famous Musicians & Gangsters wore Flamboyant Outfits like this one. This Robert Leroy Johnson, 1930s American Blues Musician Costume is perfect for the 1920’s and 1930’s, Cotton Club Movie Character Costumes & Ideas. 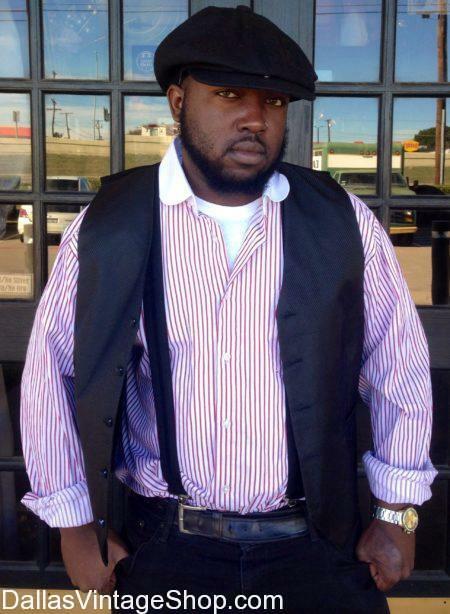 We have Harlem Renaissance Era Attire, Jazz & Blues Famous American Musicians & Black History Important People Costumes. Find all the amazing Flamboyant Suits, Hats, Shoes & Ties from the 1920’s and 1930’s. We have all the Cotton Club Costume Theme Party Outfits an Accessories you need. Here is an example of some of our Absolutely Gorgeous Cotton Club, Harlem Renaissance Attire. These 1920’s & 1930’s Prohibition Era Cotton Club Beaded Gowns are plentiful here. 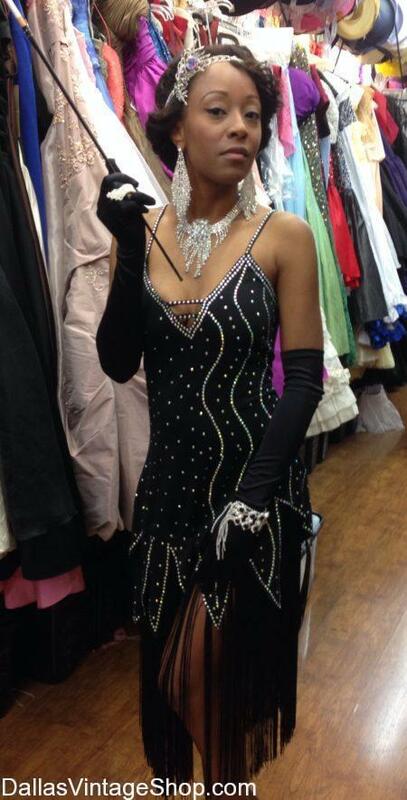 We have the Jazz Era Jewelry, Shoes and Costumes you want. The Legendary Cotton Club was the Mecca for the best of the Black Entertainment & other performance icons of the 20’s & 30’s. It was a the place for the Rich & Famous gathered from Celebrities & Wealthy Socialites to Underworld Gangsters. We have all the Period Costumes you want from head to toe. Or, you can get just the pieces you need to Jazz Up your existing Prohibition Era Outfits. We have complete outfits ranging from economy to moderate pricing to celebrity status quality. This dress would make a very ‘Cotton Club’ Jazzy Dance Costume or a great Cotton Club, Harlem Renaissance Cabaret Costume. The Cotton Club brought together Movie Stars, Gangsters & Famous Black Entertainers. The Legendary Harlem Area, New York City Jazz Club was a Prohibition Era Phenomenon. We have outfits for any class or style of Cotton Club Patron or Entertainer, from the Rich & Famous to the most sinister Mobsters. Get economy costumes for Bootleggers & Flappers or you may want all out in Beaded 20’s Gowns or full on Movie Star or Gangster Suits, Fedoras, Spat Shoes, Pocket Watches, Canes and even Fur Coats for Men or Women. We have Economy Boas to Lush Expensive Exotic Boas. Set your own budget. We have enough Cotton Club Costumes & Ideas for theme parties or theatrical productions of hundreds or thousands. Get Cotton Club Movie Character complete outfit or just the period accessories you need. The Cotton Club attracted the Rich & Famous from Celebrities to Gangsters, We have an unbelievable collection of Classy Women’s Cotton Club Outfits, Cotton Club Jazz Age Beaded Gowns, Cotton Club Art Deco Attire, Cotton Club Harlem Renaissance Era Fashions for The Rich & Famous. We also have outfits and period pieces for those on a budget. Get entire Cotton Club Characters Costumes or just the accessories you need. We can outfit an entire Theatrical or Film Production or A Gala Fund Raiser Themed Event of thousands. We have a huge selection of Cotton Club Exclusive Flapper Dresses, Beaded Gowns, 1920s Attire & Cotton Club Movie Character Costumes in stock. The Famous Cotton Club in Harlem, New York City during the Jazz Age & Prohibition Era was a magnet for the Wealthy Class, Celebrities & the most Famous Black Artist & Musicians. The Fashions of the 1920’s & 1930’s were on display among the Gangsters, Flappers, Jazz Musicians & Movie Stars. We have Cotton Club Attire for the Elegant Fashionistas or the Riff Raff Bootleggers of the Prohibition Era. Get just the economy costume pieces you need or dress like the Rich & Famous. We have the Art Deco Jewelry, Furs, Gowns & Men’s Attire that will astound. From Cotton Club Harlem Renaissance Flapper Costumes, to Jazz Age Musicians Attire, we have the Prohibition Era Cotton Club Costumes you will love. The Cotton Club in Harlem, New York City was wild and fabulous and the fashions were amazing. At the Cotton Club your would find Movie Stars, Gangsters and the most Famous Black Entertainers and we have all the Cotton Club Movie or historical era attire and costumes you can imagine. Dress like the Rich & Famous or get economy boas, Flapper head bands, spats, suspenders, economy hats and more. However, if you prefer, we can hook you up with a Cotton Club Outfit worthy of the most Elegant, Flamboyant or Gaudy Gangsters & Socialites. You are in Cotton Club category.